Hyrule Warriors finally hit store shelves in the US on Friday, and if you’re anything like me, you’re already chugging right along blowing away Ganon’s hordes to save the kingdom. However, if you’ve started the game, you may have noticed that Nintendo is already offering a $20 DLC season pass of sorts in the form of the “Hero of Hyrule Pack.” Not much is known about the pack — releasing in four chunks from now till early next year — but Zelda director Eiji Aonuma did tease a small preview on the Miiverse. The first DLC pack, the Master Quest Pack, releasing on October 16, will include a new weapon for Link — his trusty steed, Epona. I did find it odd that one of Link’s victory scenes included her, but she was present nowhere else in gameplay. It’s unclear exactly how she’ll play, but, taking a look at the picture above, it looks like it isn’t going to be pretty for Ganon’s forces. 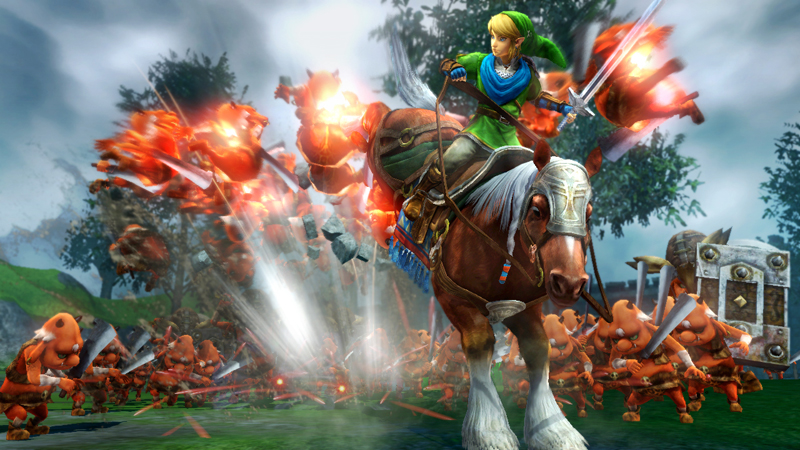 The Hero of Hyrule Pack is also purported to add new characters, additional weapons, costumes and missions in subsequent releases. Players who take advantage now will also receive a special Dark Link costume for Link. I’m still on the fence over whether or not I want to get this season pass, but this certainly is an interesting development. Are you prepared to shell out another $20 for a game that just released, or will you buy them individually as they come?